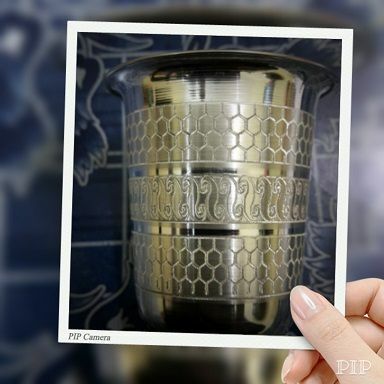 Silver Engraving: Art meets Business! 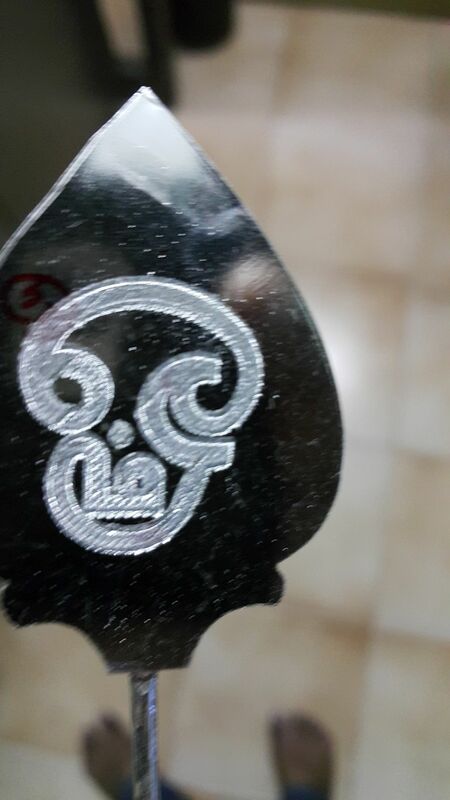 My cousin brother, Hemanth Kumar, is in the Silver Engraving business, and his office/home is in the Jewellery hub of Chennai – T. Nagar. 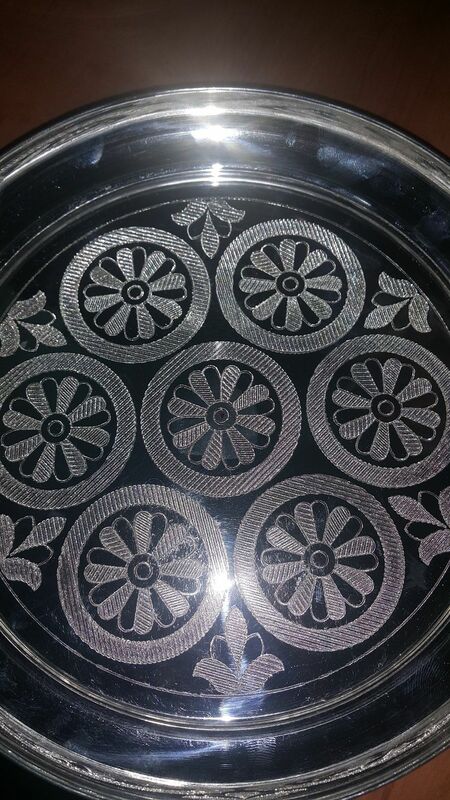 He is basically a silver engraving artist who paints beauty and life into plain silver by engraving designs, patterns, outlines, and even figures on silver articles like silver plates, silver tumblers, silver medals, puja articles, etc. He can even draw your face from a photo onto a silver plate! 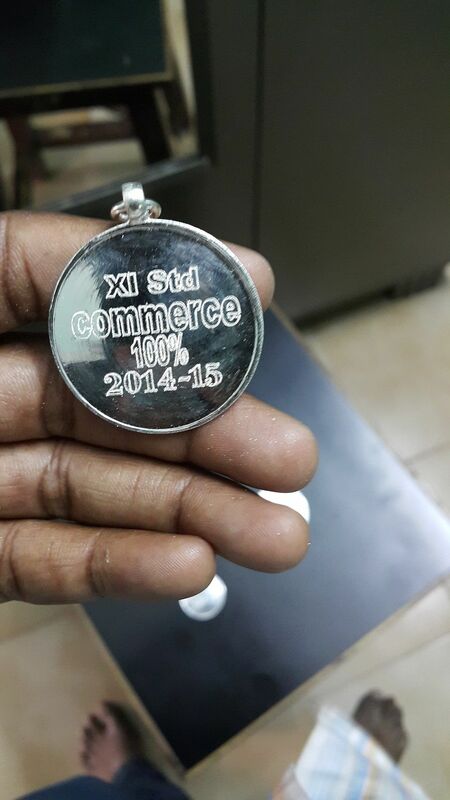 Think of something and he can engrave it on silver. He does it with his hands and a huge engraving machine he has in his backyard. Lucky are those who are able to make a business out of their artistic skills, don’t you think? 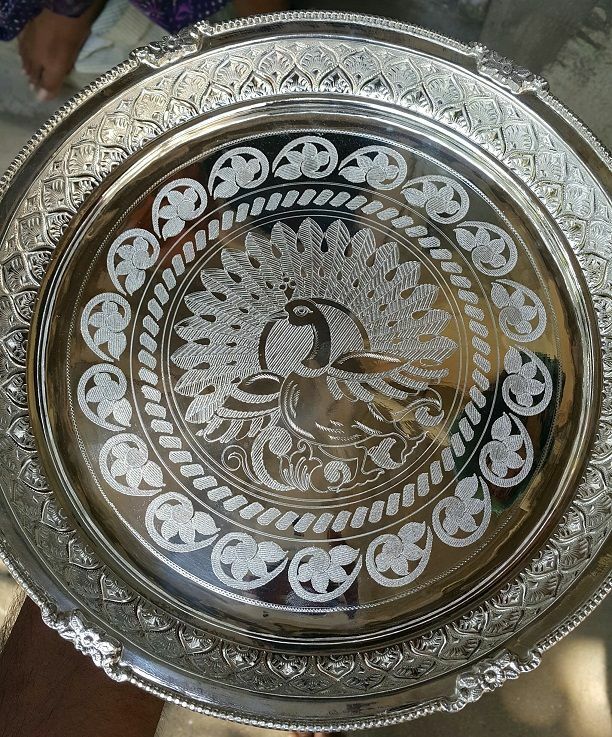 You can contact Hemanth Kumar @ 9884222431 if you need any of the above items or custom silver engraving services in Chennai. they look absolutely fabulous 😀 gorgeous designs!! Please enable the twitter on post so i can share it on twitter. I’ll see how I can do it from the blog. He is very talented. All his works look beautiful! Wow! 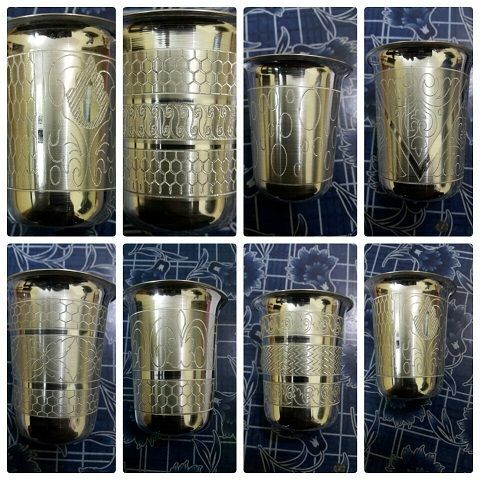 He’s doing great job in engraving designs with such perfection… I remember, once my mom bought two tumblers for me and bro and on our request the seller engraved the names of us on it, using a driller. 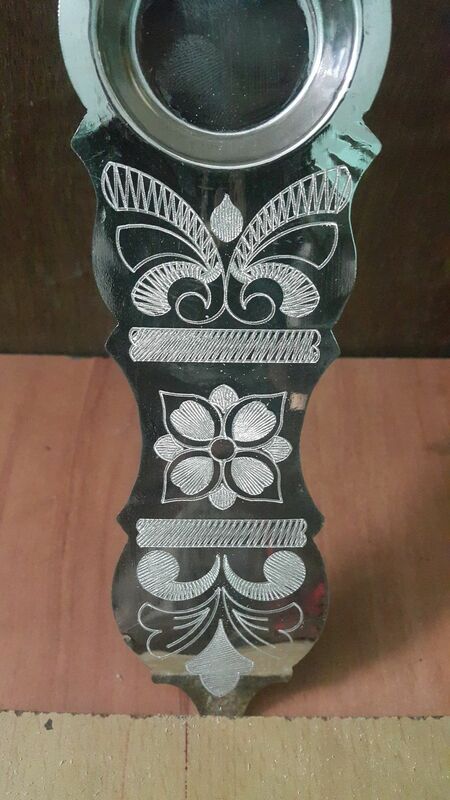 I too remember my grandfather’s name being engraved on tumblers which he gave as a part of his daughter’s marriage. Very nicely done. Guess the beauty comes out even more because he enjoys what he is doing. Yes, enjoyment is an important consideration. Sometimes even artists forget that!